Ousep Chacko, journalist and failed novelist, prides himself on being “the last of the real men.” This includes waking neighbors upon returning late from the pub. His wife Mariamma stretches their money, raises their two boys, and, in her spare time, gleefully fantasizes about Ousep dying. One day, their seemingly happy seventeen-year-old son Unni—an obsessed comic-book artist—falls from the balcony, leaving them to wonder whether it was an accident. Three years later, Ousep receives a package that sends him searching for the answer, hounding his son’s former friends, attending a cartoonists’ meeting, and even accosting a famous neurosurgeon. Meanwhile, younger son Thoma, missing his brother, falls head over heels for the much older girl who befriended them both. Haughty and beautiful, she has her own secrets. Disclaimer: I received a copy of this book from the publisher. I am always looking for literary fiction that takes place in other countries, so when I was contacted about this book I jumped at the chance to read it. I have enjoyed a lot of the world literature I have read and I really love learning about other parts of the world and books are the easy way to do that from my own home. I am SO glad I read this book. Reading about the Chacko family not only let me see a small piece of Indian culture, but was also an amazing story. All of the characters reacted in different ways to Unni’s suicide and still deal with it daily three years later. It did a wonderful job of showing how suicide can change a family and even a community. The reader gets to learn about Unni from Ousep’s search for the truth. I really love books that tell the story in a different way and all of these flashbacks let that happen. There is always suspicion to the accuracy of these stories since people remember things they want to remember and omit things that make them look bad. That is not to say you don’t learn what actually happened, because you do, it just lets the story unfold in a unique way. I was shocked with the pressure that the young men and women are under in this area of India. They are all supposed to become engineers and everything relies on tests to see if they can go straight to the US on scholarship. They got beaten in classes and at home. They are berated for missing only a few questions. It also shows how women are treated and that was hard to read, especially with everything that has been in the news about women in India. I know that this snapshot is only a small area and is not true for everyone, but it really opened my eyes and made me excited to read more books that take place in India. My one complaint with the book is there is a lot of philosophy. It is not an interest of mine and I think when there is too much in a work of fiction it takes away from the story, which happened in this book. 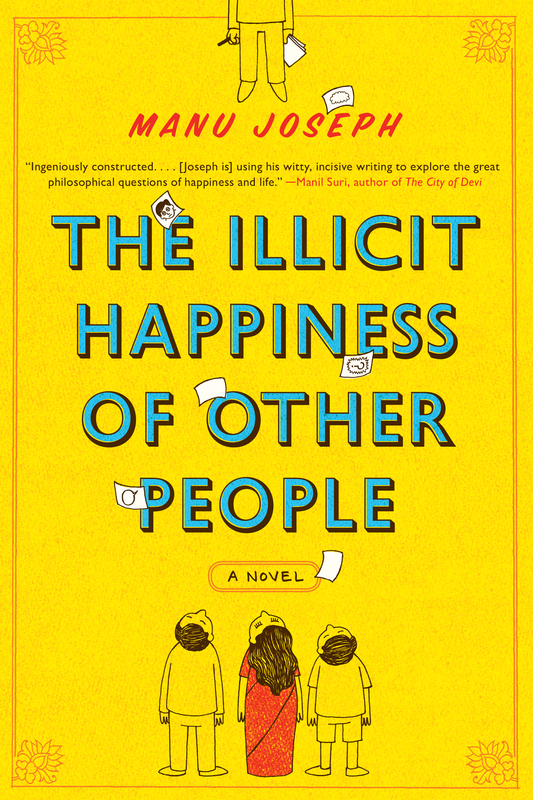 Unni’s philosophy may have contributed to his suicide, but it stopped the momentum of the book and got to be too much. But there isn’t so much that it would make me say to skip this book, because it is fantastic. Have you read any good books lately that take place in countries other than the United States? Let me know in the comments! Sir George and Lady Stubbs are having a garden party with a twist. Ariadne Oliver, the mystery author, is organizing a Murder Hunt game. She fears real danger, and phones Belgian detective Hercule Poirot, whose magnificent mustache droops for six weeks after murder and disappearance foil police. This is the next book I read in my quest to read all of Agatha Christie’s books in no particular order. I do love a good mystery and I just think reading her books is so much fun! While this book was fun, it was impossible to figure out yourself and because of that, it lost a star. Since there book is older, I found myself laughing out loud at some of the things Poirot says. Early in the book, he talks about how bad women look in shorts and how they should never wear them. That is quite different than thoughts today! It made me slightly worried about the book, but it was the only comment like that so everything worked out. There is a very large cast of characters in this book, but they are so different in personalities and style of language that it was very easy to follow them. I am always amazed how well she can write even the most minor character. I thought I had part of it figured out, but it was one of those that you could never really know because there was a line here or there that describes what Poirot sees and that is the key to everything. That said, it didn’t take that much away from the book, it just wasn’t my favorite Agatha Christie book. It didn’t help that I didn’t really know Ariadne Oliver at all and she just seemed like a tool in the book. 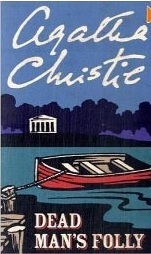 What is your favorite Christie book? Let me know in the comments so I know what to read next! Photographer Clare Porterfield’s once-happy marriage is coming apart, unraveling under the strain of a family tragedy. When she receives an invitation to direct an exhibition in her hometown of Galveston, Texas, she jumps at the chance to escape her grief and reconnect with the island she hasn’t seen for ten years. There Clare will have the time and space to search for answers about her troubled past and her family’s complicated relationship with the wealthy and influential Carraday family. Soon she finds herself drawn into a century-old mystery involving Stella Carraday. Local legend has it that Stella drowned in her family’s house during the Hurricane of 1900, hung by her long hair from the drawing room chandelier. Could Stella have been saved? What is the true nature of Clare’s family’s involvement? The questions grow like the wildflower vines that climb up the walls and fences of the island. And the closer Clare gets to the answers, the darker and more disturbing the truth becomes. When I heard this book had an old mystery mixed with a contemporary story, I was really excited to read it. I love reading great debuts and this sounded like just the thing. Unfortunately, it was not the kind of book I like. What I did like was the rich setting of the island. The historical areas were richly described I was lost in the setting. 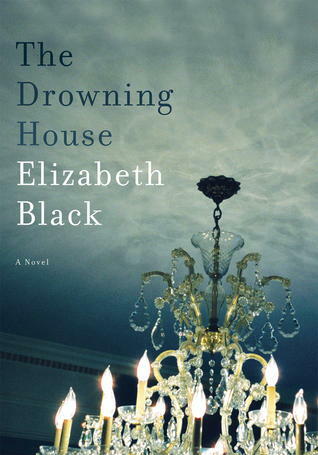 I also though Elizabeth Black is a very good writer. There were some beautiful passages about life and family that were insightful and pertinent to the story. That was what kept me interested and reading, even if the story wasn’t great. My issue with the story is that I couldn’t make myself care about Clare. Sometimes, you can really relate to a character. Sometimes, even if you can’t relate to them, you can still care about them and feel for them. I had no connection with Clare. I felt like she was often rude, blamed others for her problems, and was incredibly immature for someone in her thirties. She was not a character I could like or even care about. She was also obsessed with the past in a way that made her so disconnected with how things and people change that I just wanted to jump into the book and yell at her. She saw everything through the eyes she had when she was 14. I also found her mother irritating, but at least I could understand where she was coming from and felt bad for her. She wasn’t always the best mother or women but she did what she thought was best. I cannot forgive her for her mistakes completely and think she was the kind of exaggerated character that took everything to far, but she was at least interesting. The other issue was the mysteries within the overall story. I figured out all of them within 20-30 pages of them being introduced. This probably added to my irritation with Clare because everything was right in front of her, but she couldn’t be bothered to actually think about anything on her own. This book wasn’t for me, but I could see women who can connect with Clare, her mother, or her sister enjoying it more than I did. If anything, I liked her older sister much more even though she was not a major player in the book! Did you read the book? What did you think? Let me know in the comments! I am kind of late to the party on this, but I didn’t want to make resolutions this year, I wanted to make goals. Some people may say they are the same thing, but I see goals as being more concrete. If I don’t make them all, that is fine. They aren’t high pressure goals. They are just things I want to do. I can always try again next year! Read 10 nonfiction books – I loved learning in college. Homework, not so much, but I loved to learn new things. This is my way of continuing it. I hope that not all of these are memoirs (but memoirs do count) and I want most to be more recent history. I feel like I am severely lacking in post WWII knowledge. Blog more regularly. I have a lot of discussion posts ideas, but I feel like I don’t get enough traffic to do them. Screw not having enough traffic, I want to do them anyway! Get back to 150 pounds. I have wanted to for a while but have been failing. It is better for my hip and my overall health. Now that I have more flexible insurance, get some new doctors. I want to find a primary doctor I like. I also need some specialists – especially a hip doctor and a geneticist. I am due to check into my unknown disease. so I need to do it. – be able to bench press more than the bar. This goal may change if I find out the barbell isn’t that hard, but I haven’t done and bench presses since high school. – be able to do a pull up. I haven’t been able to since I was a kid. Do more active things, especially in spring and fall. It can be going on hikes, playing basketball together, just be outside more. Get our finances in better shape. We are doing pretty well, but I want to cut out more debt. I have conrete goals, but don’t really want to share them in public. Go on vacation. We haven’t really gone away for more than a weekend since our honeymoon and we both desperately need it to relax and recharge. We really want to go on a cruise to the Bahamas. Cook more new things! Last year we probably tried 30+ new dishes, some which are now in our “cook once a month” rotation. We should continue and i would like to try 30 more. This is a lot, but I am sure I can accomplish quite a bit of it! D0 I have any goals you are also doing? Let me know in the comments and we can support each other! 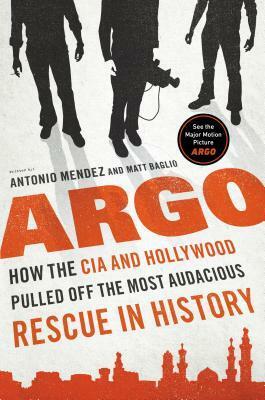 I saw the movie of Argo right after it came out and loved it. The acting, director, and story were all incredible. But like many people, I wondered what was true and what was made more suspenseful for the movie. Turns out a lot was made more suspenseful. Not to say the actual plan wasn’t dangerous and perilous because it was. There just wasn’t any running after an airplane, or close calls outside of the ambassador’s house. They did a really great job of making an amazing story into an equally amazing movie. I was blown away with just how much the CIA has to do for one possible mission. The amount of work and detail is incredible. That so many people keep things a secret seems just as mind-blowing. Reading about what they do is an eye-opening experience and I recommend it to everyone. It is another really easy to read for a nonfiction book and shows the inner workings of being a spy. Here is a hint: it is nothing like most movies show it. It isn’t glamourous, it is hard work and thinking on your feet. If you loved the movie then you need to read this book. It shows how much others helped Americans and the small acts of bravery done by regular people at the State Department and in the CIA. Tony Mendez is a brilliant man and reading his story was really fun and informative. n a May afternoon in 1943, an Army Air Forces bomber crashed into the Pacific Ocean and disappeared, leaving only a spray of debris and a slick of oil, gasoline, and blood. Then, on the ocean surface, a face appeared. It was that of a young lieutenant, the plane’s bombardier, who was struggling to a life raft and pulling himself aboard. So began one of the most extraordinary odysseys of the Second World War. I don’t know if it is just where I grew up, but while we learned a lot about the concentration camps, we learned nothing about how POWs were treated in Japan. Well, this book changed that and I was absolutely horrified with what I learned. I cannot imagine what the soldiers in WOrld War II went through no matter how many movies i see and books I read. It is absolutely awful, but I am glad to have read this book and learned about one man’s amazing journey. 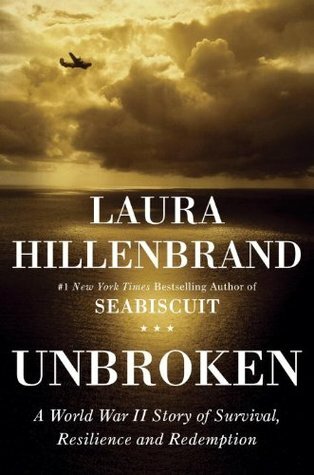 Zamperini’s story is inspirational along with heart-breaking. His olympic journey before the war is stunning. I have never been a big track fan when it comes to the Olympics, but I found myself enthralled with his story. I learned a lot from this book about the Pacific Front, which was not covered as much in my history classes growing up. Reading about the numbers of people lost due to the planes not being good enough was so sad. Thousands of men were lost while not in combat due to these issues. It is hard to even talk about this book because it just hits you so hard. It is a story that everyone should know about and it is written in such a beautiful way that it is hard to put down. Have some tissues nearby, if you are anything like me you will have tears in your eyes. Do you have any nonfiction books you have enjoyed lately? Let me know since i am trying to read more nonfiction this year. 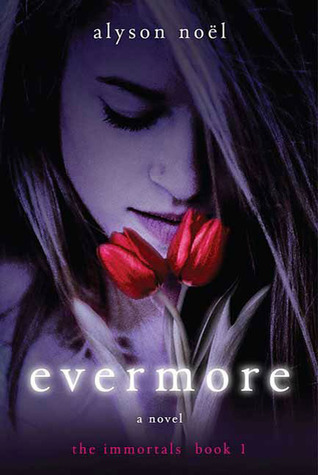 After a horrible accident claims the lives of her family, sixteen-year-old Ever Bloom can see people’s auras, hear their thoughts, and know someone’s entire life story by touching them. Going out of her way to avoid human contact to suppress her abilities, she has been branded a freak at her new high school — but everything changes when she meets Damen Auguste. So I kept on. I got frustrated with her friends and their lack of development. But then, about 100 pages from the end, it redeemed itself. ***SMALL SPOILER ALERT** Ever started to really deal with what is going on in her life. She makes BIG mistakes and learns from them. She actually asks for help! **SPOILER ALERT OVER** Things finally matter and while it doesn’t redeem the book completely and the ending pissed me off a little with the non-answers, it made me see why others liked the book. The best part of the book by far was Ever’s sister Riley, who died in the crash but was still around and Ever could see and talk to her. The reader sees that there is so much more to her story than Ever was seeing and I wanted to know so much more. IT was an interesting look at the after life and choices you can make and I just wanted so much more of that and less of jerky-faced Damen. For everything I disliked in it, I liked the character development when it happened. I liked the idea of the immortals, even though I wish there had been more details in this book. I am not going to read any more books in the series, but I am glad I finally read this. There were cool aspects and the book made me really think about young adult book in general. Have you read any books lately that you kept changing your mind about while you were reading it? Let me know in the comments! Elisa is the hero of her country. She led her people to victory against a terrifying enemy, and now she is their queen. But she is only seventeen years old. Her rivals may have simply retreated, choosing stealth over battle. And no one within her court trusts her-except Hector, the commander of the royal guard, and her companions. As the country begins to crumble beneath her and her enemies emerge from the shadows, Elisa will take another journey. With a one-eyed warrior, a loyal friend, an enemy defector, and the man she is falling in love with, Elisa crosses the ocean in search of the perilous, uncharted, and mythical source of the Godstone’s power. That is not all she finds. I knew I wanted to read this eventually, but my friend Caryn was raving about it so I moved it way up on my list. I liked the first one quite a bit, and the second book in the series was just as awesome. The book is very exciting! It is really hard to put the book down and Rae Carson ends chapters with excitement and cliffhangers that make you have to keep reading. It isn’t just great action though, all of the characters have grown due to what happened in the last book. This is an issue with some young adult series, but not this one. 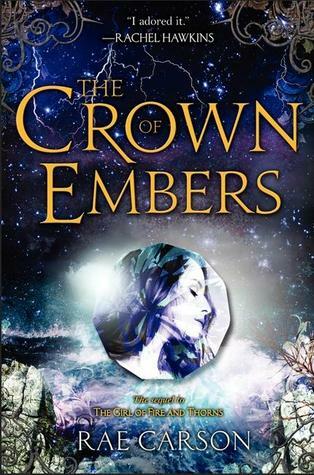 Elisa has grown into a mature young woman struggling with leading a country, protecting herself from enemies outside and within her castles walls, and trying to find a husband that will be good for the country and for her. Elisa also sees the consequences of her actions. especially in relation to those closest to her and starts taking that responsibility to heart. Those closest to her also grow. We get to learn more about Hector’s life before coming to the guard and her hand-maiden who gives her some much-needed friendly girl advice. There are also some new villains and some old traitors that are hoping to redeem themselves. All around, it is a more complex story than the first and they stakes are just as high, if not higher. She also finds an amazing new power her Godstone gives her. It is especially awesome because it shows how far she is willing to go to help others. She is tempted in new ways and has to make extremely difficult decisions. The last thing I really loved was that some little details from the first book came back into play for this book and it didn’t seem like any characters were forgotten. Everything from the first book actually mattered and had consequences. I have a lot of hope for the next book. This is a great story and series. I want to rave about it for pages, but I think you get the point. If you haven’t read it yet, you should really start this series. It is the perfect cross over between older young adult and adult because Elisa is older and is dealing with issues that adults can relate to also. 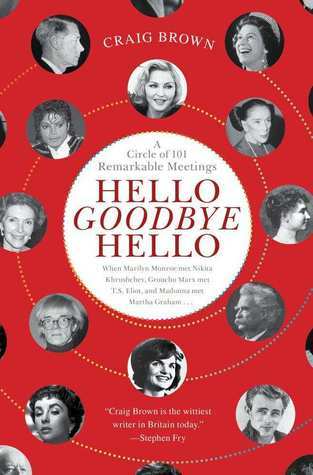 Can you imagine more unlikely meetings than these: Marilyn Monroe and Frank Lloyd Wright; Sergei Rachmaninoff and Harpo Marx; T. S. Eliot and Groucho Marx; Madonna and Martha Graham; Michael Jackson and Nancy Reagan; Tsar Nicholas II and Harry Houdini; Nikita Khrushchev and Marilyn Monroe? They all happened. Craig Brown tells the stories of 101 such bizarre encounters in this witty, original exploration into truth-is-stranger-than-fiction. I love nonfiction books that I can read in easy to manage chapters. Since each encounter was only 1001 words, it was a fast read. I seem to retain the information better and enjoy it a lot. When I saw this book, it was something that looked right up my alley, and I was right! I learned a lot from this book about famous and influential people. Some of these meetings were rumors or might not have been entirely accurate, but Brown made it clear when that was the case. Even if the authenticity of what exactly happened at the meeting was a little questionable, Brown tells enough about the people involved that it is still worth reading! It is also great because if you really don’t know/care about someone, they are only around for a little bit. That did happen multiple times, especially with British politicians. Yet even then, I still learned something. My favorite encounter is actually the first one in the book when Hitler is almost run over. Think how different things would be if the driver had been moving at a fast speed! I also really liked reading about Khrushchev meeting Marilyn Monroe. Seeing into the scandalous lives of some of the greatest writers was a treat and made me more interested in another book Literary Rogues, which comes out in February! If you are looking to read more nonfiction this year, this is a great choice!